Do you remember these great pop stars and their hits? Deerhoof's The Man, The King, The Girl Butch Hancock's West Texas Waltzes and Dust Blown Tractor Tunes, Swamp Dogg's Cuffed, Collared and Tagged, Michael Head's The Magical World Of The Strands, John Trubee's The Communists Are Coming to Kill Us, John Phillips's Wolf King of L.A., and Michel Magne's Moshe Mouse Crucifiction?You will when you read Lost in the Grooves, a fascinating guide to the back alleys off the pop music superhighway. Pop music history is full of little-known musicians, whose work stands defiantly alone, too quirky, distinctive, or demented to appeal to a mass audience. 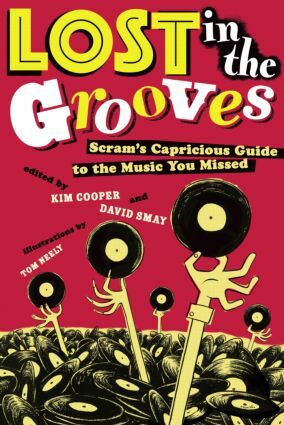 This book explores the nooks and crannies of the pop music world, unearthing lost gems from should-have-been major artists (Sugarpie DeSanto, Judee Sill), revisiting lesser known works by established icons (Marvin Gaye's post-divorce kissoff album, Here My Dear; The Ramones' Subterranean Jungle), and spotlighting musicians who simply don't fit into neat categories (k. mccarty, Exuma). The book's encyclopedic alphabetical structure throws off strange sparks as disparate genres and eras rub against each other: folk-psych iconoclasts face louche pop crooners; outsider artists set their odd masterpieces down next to obscurities from the stars; lo-fi garage rock cuddles up with the French avant-garde; and roots rock weirdoes trip over bubblegum. This book will delight any jukebox junkie or pop culture fan.